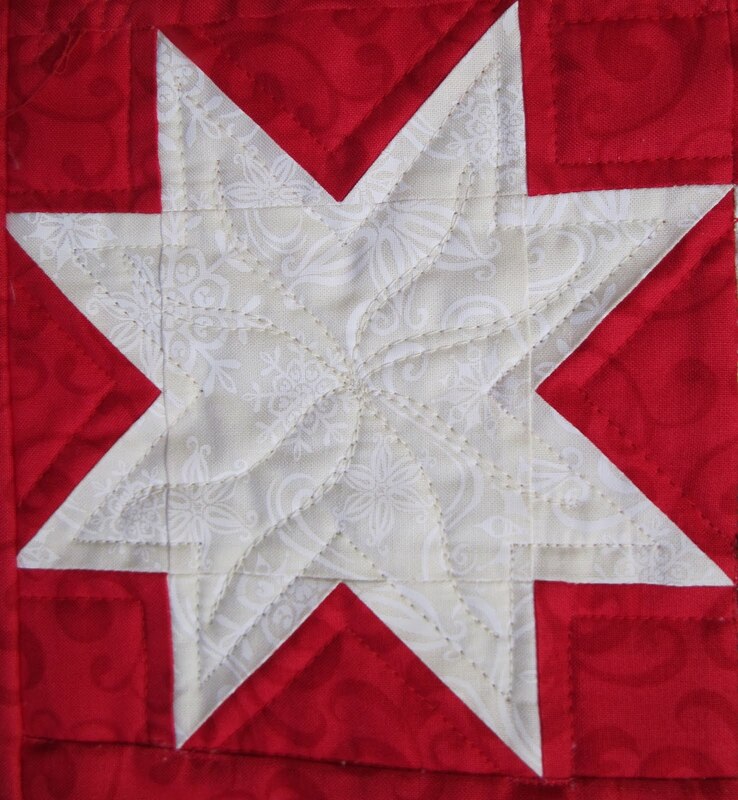 The last time I blogged about this project I showed you all my finished star blocks. I intentionally didn't photograph the alternate blocks because I think this is a a very clever pattern and don't want to spoil the surprise of how it all goes together. Sometimes my finishes have to grow on me, I don't know if I get tired of working with them and they overstay their welcome or what, but I've loved this project from start to finish and am even a little sad to have it done. If I didn't have such a long list of other patterns calling my name I would make this one again and again, it was fun and easy. It's one of those patterns that looks like you spent forever working on but didn't. I'm still calling my project Birdseye, generally I like to give my projects a different name but sometimes its first name, the pattern name, sticks. 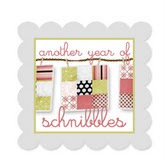 Maybe something new will come to mind after it gets quilted. This project finished at 79" x 79" and has approximately 1,877 pieces. That averages out to 55 pieces a day! The pattern Birdseye is by Carrie Nelson for Miss Rosie's Quilt Co. I love this pattern, I've said it before and I'll say it again, I think there should be more Birdseyes in this quilting world, if you've not already done so, put this pattern on your To Do List for 2012, you'll be glad you did! This is my 13th finish for the year. One more than my arbitrary and completely random 2011 goal of finishing 12 projects. This time last year, when I was thinking about what I wanted to accomplish in 2011, I was training for a half marathon and not even thinking about running a whole marathon, the Infinite Variety: Three Centuries of Red and White Quilts show was months away, I had no idea I would be making a Red & White Tribute quilt, let alone one that would get in a magazine. I was thinking I would make Eventide, but hadn't really put together the notion of hosting an Eventide Sew Along. My year was full of wonderful unplanned surprises, thanks so much for following along. I'm open minded about what I accomplish in 2012 but look forward to sharing it with you and hearing about what you accomplish too. Cheers to you, quilters extraoedinaire, bloggers, lurkers and friends, let's all go out and have a happy and healthy 2012. Added Later - I just asked my husband to guess how many pieces were in the 13 quilts I finished this year, his guess, 1,000! 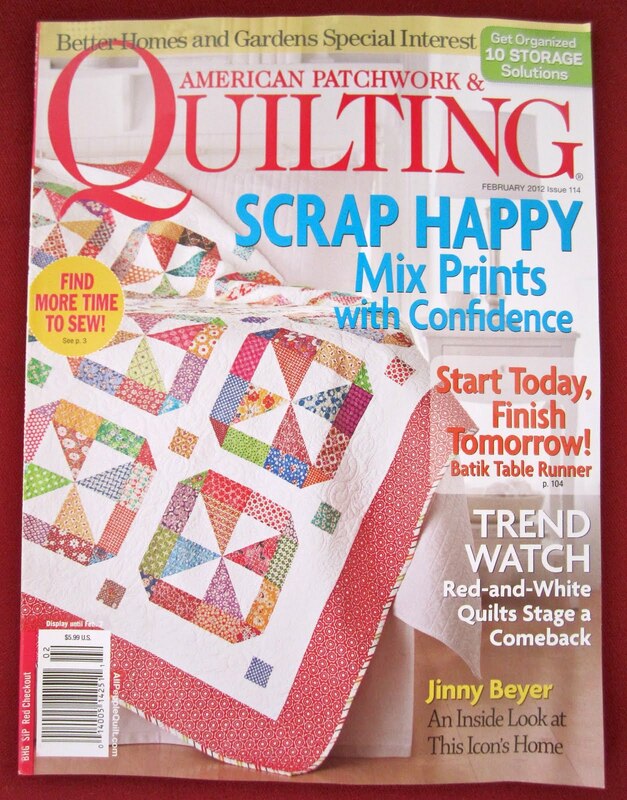 No, he's not a quilter. How are things going at your house? Ready or not, here comes Christmas ! No sewing going on at all at my house, not even a quick 20 minutes over the last two weeks! I've been too busy to even miss it. I spent a couple of days with family, shopping, visiting, and baking, I had a wonderful time, time well spent. I've attended parties and gatherings and ate wonderful food. I also squeezed in a quick trip to New York City. My husband had to travel to the city for business and asked if I wanted to tag along, who would pass up a few days of Christmas hustle and bustle in the Big Apple? Well me, almost. 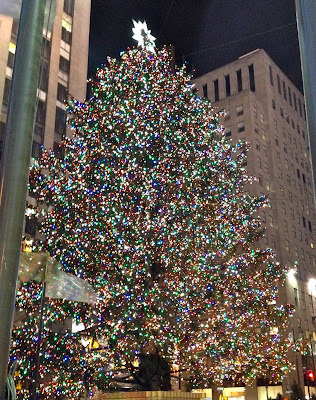 A quick trip to New York, days before Christmas, I've got decorating, shopping, baking, and parties to tend to and what if we got to NY then couldn't get home! Well I adjusted my schedule, threw caution to the wind and went and am so glad I did. 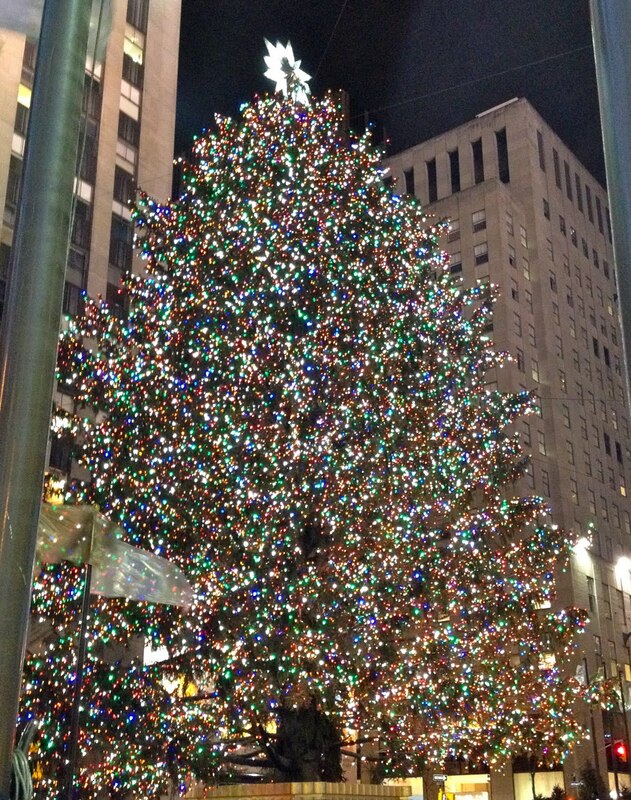 Here's the tree at Rockefeller Center, as amazing as it looks on TV, it looks even more impressive in person. That's one huge tree! So much to see in just a few days, but I enjoyed all the trimmings, every decorated store window, the shopping, the show and the food. Plus I made it back home in one piece, on time, sans cold or flu! Who could ask for more! I wasn't the only person who decided to visit the city before Christmas, I'll NEVER complain about the lines or folks at my only local store ever again. It felt great to be surrounded by folks from all over the world for a few days, a little reminder to me of how many folks there are in this world, lots and lots of folks!! it's still yet to drop a single leaf! I am in awe of how beautiful this plant continues to be! Several of you mentioned that my poinsettia would easily last until Christmas, I had my doubts but you were right! Now I'm wondering how long it will last!! One thing Donna decorates with year round are cloche bell jars. Every time Donna would blog about her latest cloche landscape I would say to myself, "I've got to get me one of those cloches", well I finally did! 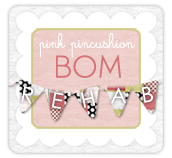 Thanks Donna for the inspiration! 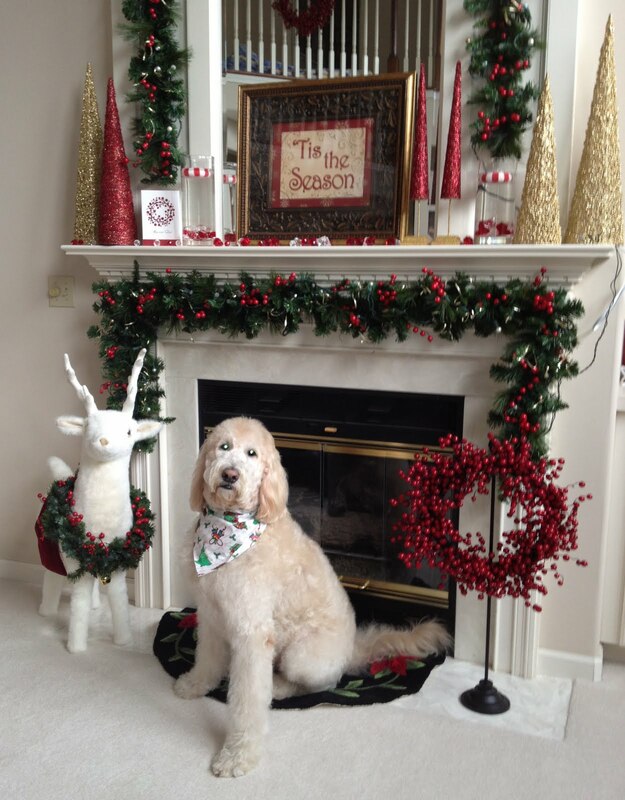 If I was sending Christmas cards this year this would be it, so consider this your Christmas card from me to you. My daughter picked up that reindeer last year when she was home for Thanksgiving. When she went back home I took it to the pack mail store so it could go live with her in California. Uh, shipping reindeer as it turns out is an expensive venture, who knew!! After a little research we found out she could buy the exact same reindeer online for less than the cost of the one she bought at the store plus, get this, FREE shipping. So that's why I have a white reindeer at my house, and my daughter has its twin at hers! Well I'm ready for the holidays, the last minutes to dos, like grocery shopping and wrapping are done. My daughter arrived yesterday, all that's left to do is enjoy the season. I'm going to attempt baking a coconut layer cake, my first, wish me luck! I hope you have a safe, healthy and happy holiday full of cheer, your support and friendship to me this year has been a wonderful gift, thanks so much. Another quilt made its way home from the quilter, just in time . . . I'm so happy my 2010 Fat Quarter Shop Kate Spain Mystery Block of the Month is all done and ready, just in time for Christmas!! Someone sent me an email months ago asking about the width of my sashing around those blocks, but since the quilt was at the quilter's and I hadn't written it down anywhere, I wasn't much help. For the record, the green strips finish at 3/4" and the white strip at 1/2", creating a sashing that's 2 inches finished, which was called for in the finishing pattern. I'm guessing that's no help to the person who asked, but if the question comes up again, I have it documented, now all I have to remember is where I documented it! Dawn at the Sewing Basket went with a nice swirly design in the white background of each block and did a little custom quilting for the pieced section of the block. For this basket she did some nice cross hatching. Here she did a cute little design in the mitten cuff and a nice design in and around the star. I made this quilt for my daughter, here it is hanging in its new home in California. 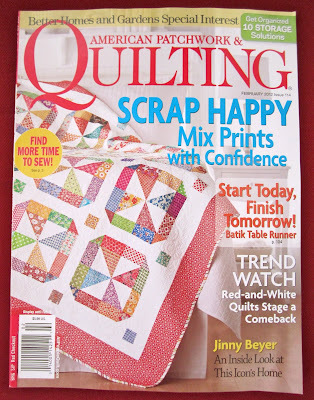 This is Lifetime Quilt Number 71, click here if you want to read more. It's official, I'm finally done with my decorating. Some years I'm done when I get tired of decorating and just quit, but this year I kept decorating until I had everything out, I think it was worth the time and effort. I hope you're getting through the items on your Christmas To Do List too!! I'm still decorating but all my Christmas quilts are out! 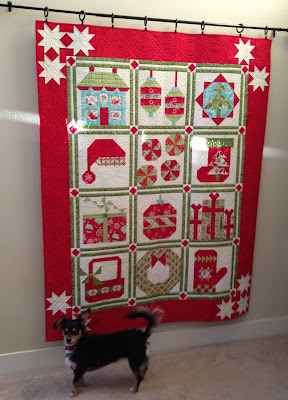 Over my quilting career I've made 10 Christmas quilts, my folks have three, my daughter has three and I have four! 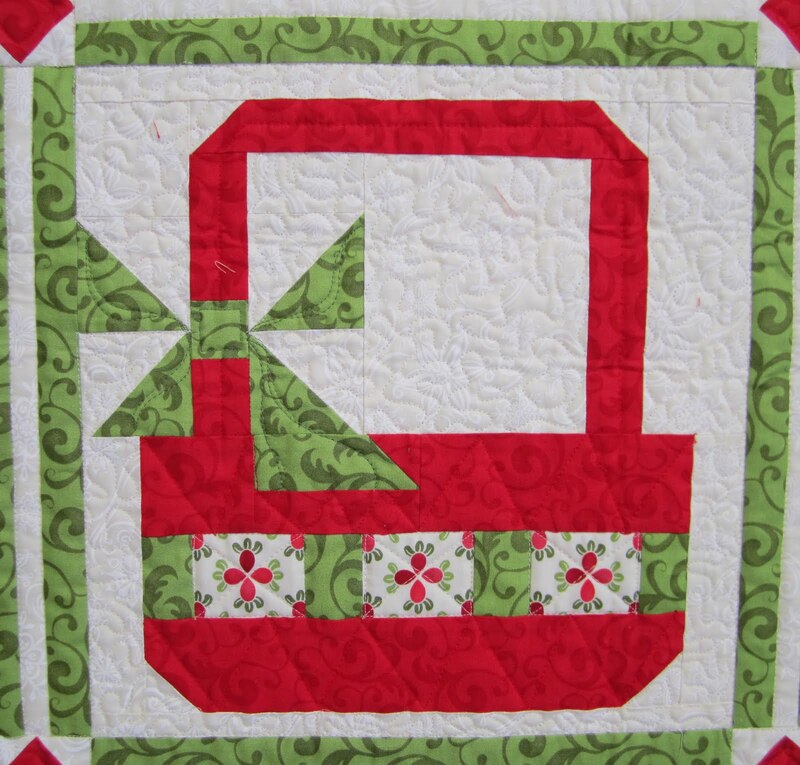 By this time next year I'm hoping to have five, that Countdown to Christmas fabric by Sweetwater is calling my name. 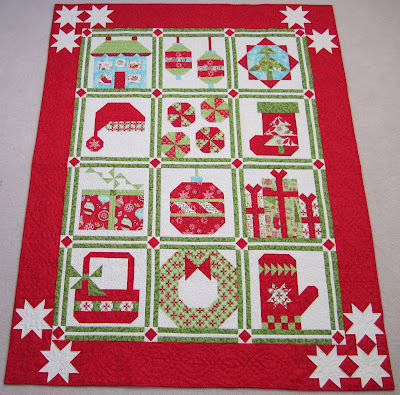 So here's a little walking tour of Christmas quilts in my house. 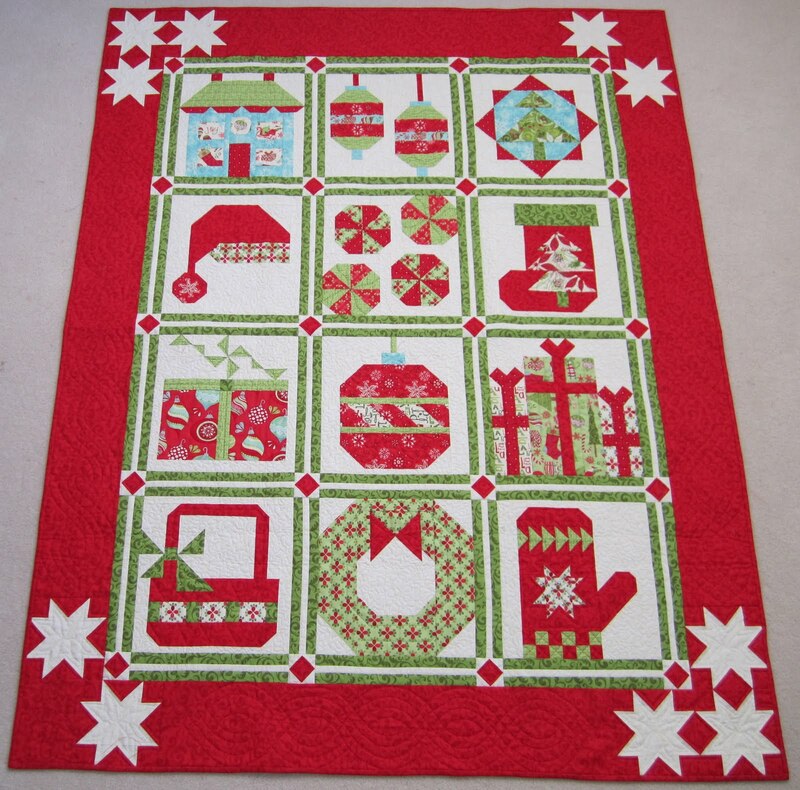 I've always thought of this quilt as being a Christmas Quilt, but really, none of the fabric used in this quilt is what I would call Christmas fabric. I just got this quilt up in the guest bedroom but think I'll keep it up for a few months after Christmas, I think it works for January and February too! I'm hoping by Monday I can say I'm done with my decorating, wish me luck! I couldn't stand it, I went back into my box of fat quarters and tried to find fabric "matches" for the nine patches that fit in the middle my star points. It probably took me 90 minutes to get what I think is the perfect combination of three colored fabrics and two background fabrics. I'm guessing that was 90 minutes I could have used making blocks, but I'm happier when things go together just right, and now I think things are, just right! 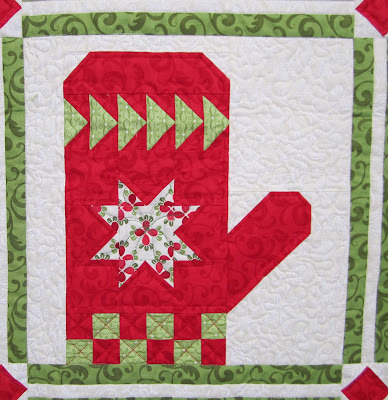 In the pattern Carrie suggests making the 124 nine patches first, to get that out of the way. As you can see, I started with the star blocks. But I am making a couple of nine patches from each fabric I'm using for the stars as I go, I figure by the time I have all my star blocks done I'll also have the majority of my nine patches done too! I'm guessing I'll have an assortment of over 100 fabrics in the top when it's all done. 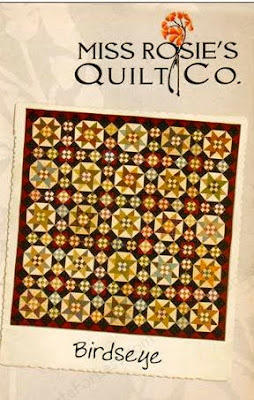 I'm making star blocks as quick as I can, I'm so eager to see this quilt come together. For those of you who haven't caught Judi's latest post over at the Green Fairy Quilts, go take a peek, she just finished quilting Nottingham Star, my Lifetime Quilt Number 62. I can't even find the words to describe how I feel about the time and effort Judi put into my quilt top and the finished quilt, saying it's amazing doesn't even come close. The quilt is in the mail and I can hardly wait to see it in person, I'm just keeping my fingers crossed it makes it home safe and sound!